Eurocell has announced a powerful new initiative for 2017 which sees the company adopting two charities – one national and one local – for which to ‘officially’ raise funds. The company is aiming to harness the altruism and energy of its staff in this fund-raising and, to match this, the Eurocell board has also committed to augment approved employee efforts with corporate contributions. 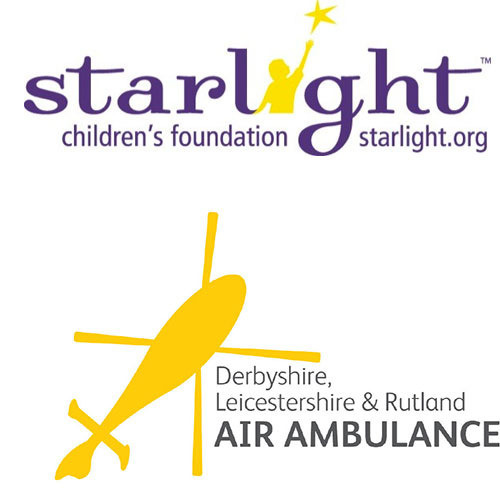 The two charities Eurocell is formally supporting are the Starlight Children’s Foundation and Derbyshire, Leicestershire & Rutland Air Ambulance (DLRAA). Starlight seeks to brighten the lives of seriously and terminally ill children by ‘wish granting’ and by providing fun, entertainment and distraction for children in every children’s hospital ward and hospice throughout the United Kingdom. All Starlight’s activities are aimed at taking children away from the pain, fear and isolation they can often experience as a result of their illnesses. Starlight’s year-round programme helps over 500,000 hospitalised children every year. The DLRAA is Eurocell’s own local airborne paramedic service. Its two regional air ambulances fly across the counties of Derbyshire, Leicestershire & Rutland; and also provide cover for its sister service: the Warwickshire and Northamptonshire Air Ambulance – both organisations being part of The Air Ambulance Service Charity. These two helicopters provide a rapid response to trauma and medical emergencies over an area of 3850 square miles covering many of the UK’s major road networks including the M1, M6, M69 and M42. With an average response of just 13 minutes, between them they attend, on average, six missions a day. Mark Kelly, Eurocell CEO, says of the fundraising scheme, “You can only commend the initiative of our people in supporting on these two fantastic organisations – it’s totally indicative of the great spirit that we have here in Eurocell. We are in uncertain times and, in days like these, charities cannot rely on the largesse of the public in their usual way – and we imagine every penny will be most welcome, not least by those assisted and cared for both by Starlight and the DLRAA”. Collette Richardson, Fundraising Manager for DLRAA, said; ‘’This fantastic support from Eurocell is a huge boost for us. It costs us £1700 to fly every lifesaving mission and we rely on the public to keep our services going so being chosen as Eurocell ‘s charity of the year is really great news”.